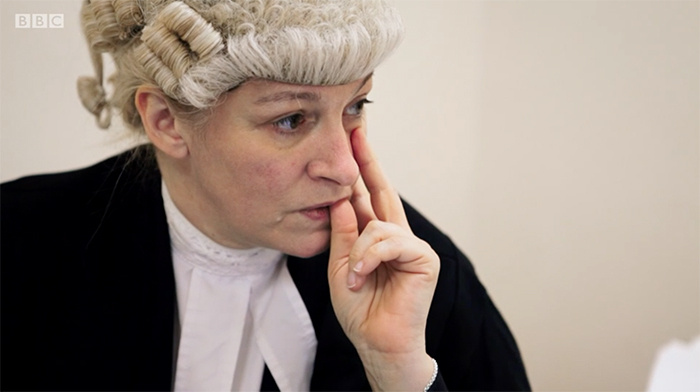 The less than glamorous life of the Crown Court may take some getting used to for Manchester’s newest criminal judge, who starred in a BBC true-crime documentary last year. Julie Warburton of The 36 Group chambers hit the airwaves last August in BBC Two’s The Prosecutors, which followed Crown Prosecution Service (CPS) lawyers battling to secure convictions. She was announced as a circuit judge yesterday, based at Manchester Crown Court. The programme shows Warburton, 47, teaming up with CPS solicitor Eran Cutliffe and fellow barrister Caroline Haughey QC to prosecute a man and woman accused of exploiting Vietnamese girls as slave workers. The teenagers are picked up at a nail bar in Burton-upon-Trent, kicking off a two-year investigation and prosecution. Warburton first comes into the frame to advise that the young victims shouldn’t be called as witnesses, being so brainwashed by their alleged traffickers that they would be actively unhelpful to the case. The Midlands-based barrister advertises the flexibility of the self-employed bar as she works from home, accompanied by a canine companion. The legal team agonise over trial strategy and the examination of witnesses, with instructing solicitor Cutliffe grilling Warburton to make sure the advocate is on top of the evidence before she gets on her feet at Stafford Crown Court. Despite the absence of victim testimony, the trio secure convictions in the first successful prosecution of slavery offences involving children under the Modern Slavery Act 2015. Warburton practised with regional set KCH Garden Square before moving in-house at Cartwright King Solicitors. The 25-year veteran became a recorder (part-time criminal judge) in 2016 and moved to The 36 Group not long afterwards. She will start her new role on 5 March 2019, according to the Judicial Office. Small and pedantic point, Conor, but Recorders aren’t necessarily criminal judges. You can’t expect LC to know that. It would require some knowledge of the legal system. So when is she going enter a dancing competition?